The "Sheltering Tree" stamp set is so awesome. If you already own this stamp set then you know what I'm talking about. 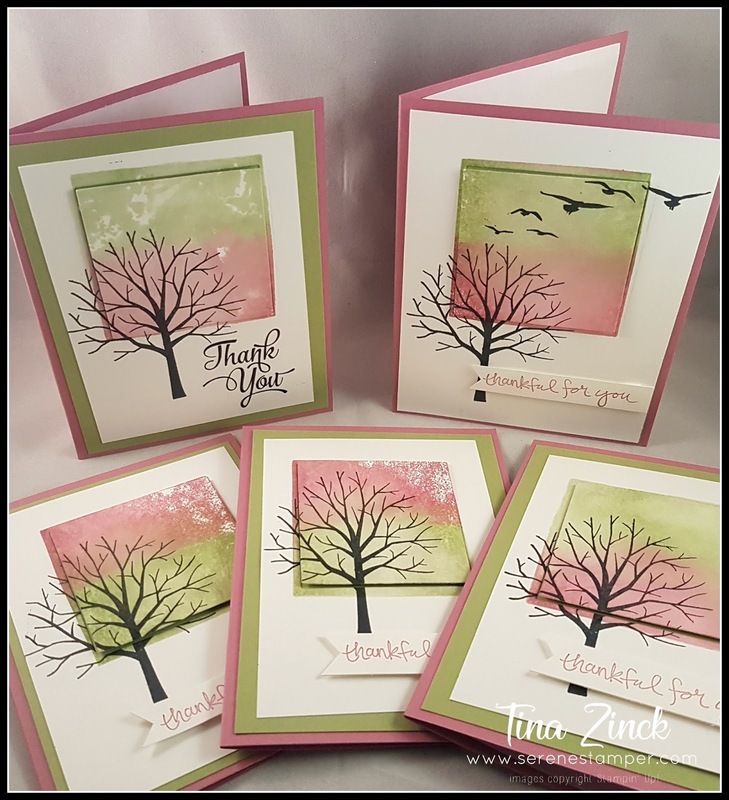 Just the tree image alone can be used in so many different ways, not to mention all the other stamps and sentiments in the set! 1. 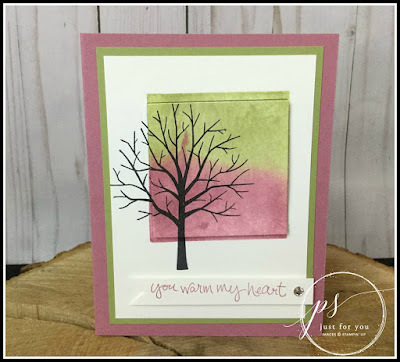 Score the Sweet Sugarplum cardstock at 4 ¼” and attach Lemon Lime Twist layer with SNAIL Adhesive. 2. 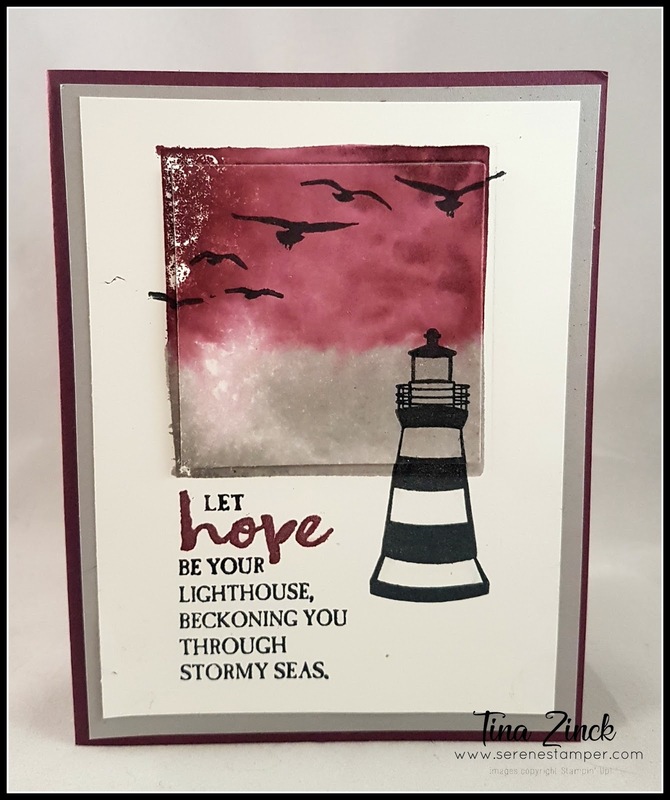 Take Block D and use the 2 colors of ink pads to ink up the top and bottom of the clear block ensuring that there is a lot of ink on the block. 3. 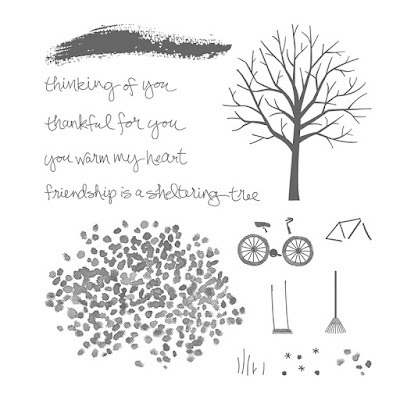 Use a Stampin’ Spritzer to mist the block with water enough to get the ink spreading. (Don’t get it so wet that it starts to drip). 4. Place wet block onto the white cardstock. Let dry or use Heat Tool to speed up drying time. 5. 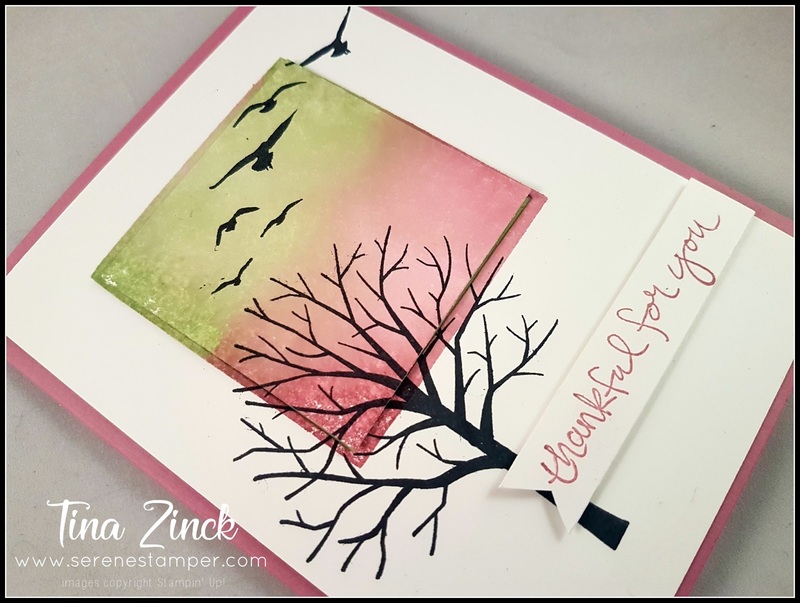 Stamp tree using Memento black ink. 6. 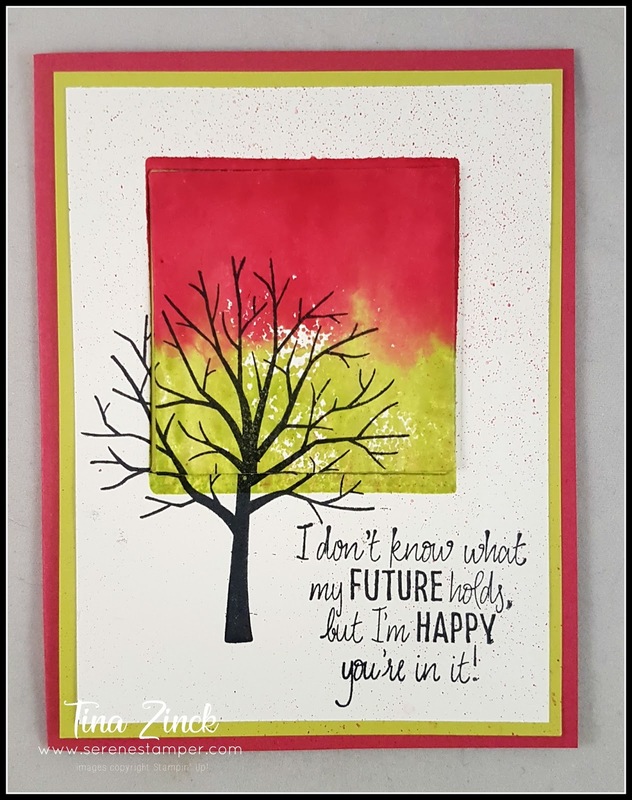 Use the 2 3/8” square framelit to cut out a square from the stamped layer. 7. 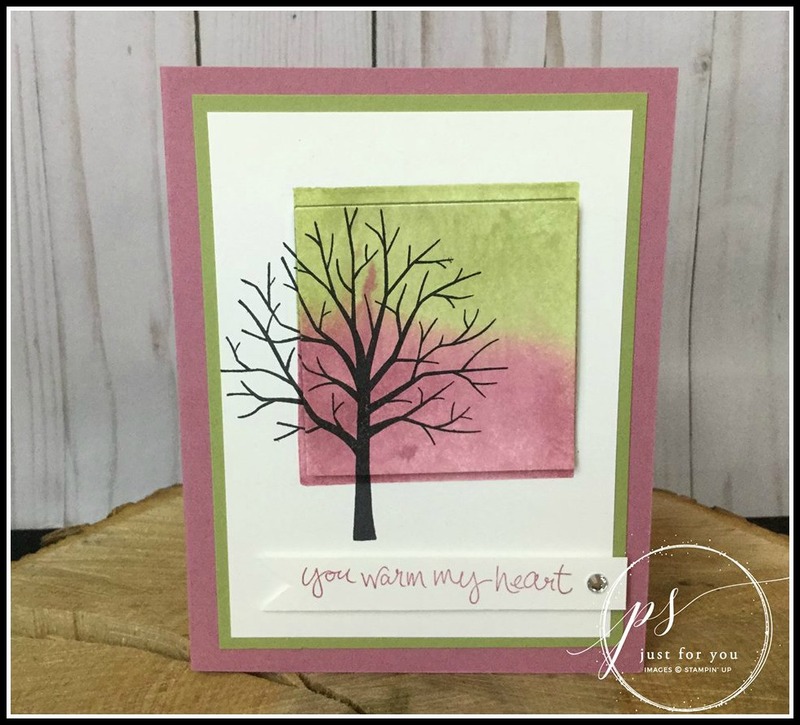 Adhere Whisper White cardstock using SNAIL to card. Use Dimensionals to pop up square piece. 8. Stamp greeting on a ½” strip of scrap white cardstock cut to approx. 3 ½”. Use Snips to cut a “V” out of the end. 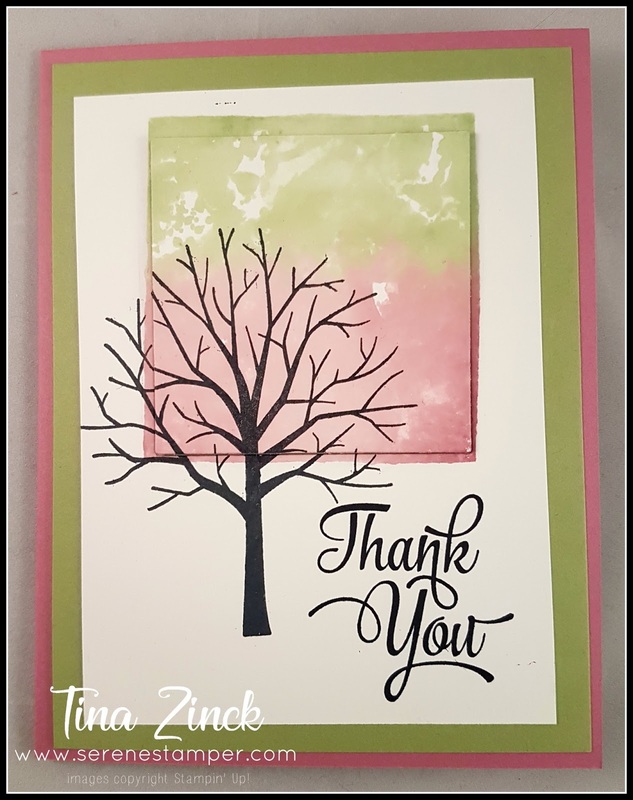 Adhere greeting to card using Dimensionals. I hope you take some time to give today's tutorial a try - I know you'll enjoy it. 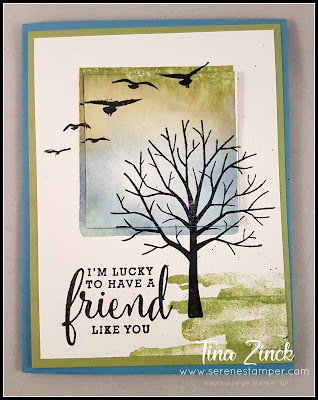 The inked block technique is super fun and you can whip up a whack of beautiful cards in no time! Such cute and east cards. I have that set and will try these. Thanks. Beautiful card Tina! I’m going to give this a go, haven’t ever tried this technique! Tina, I enjoy your blog, but I can't pin your ideas for future reference. Can you help me? Thanks for your comments, everyone! I'm so glad you enjoyed this card tutorial. Lynda, I use the pin button on my task bar that I downloaded from pinterest, and that works. Meanwhile, I'll look into why the pin (save) button on images isn't working - thanks for letting me know! This technique is so beautiful. The colours you used jump right out at me. Indeed, this is one lovely tree. 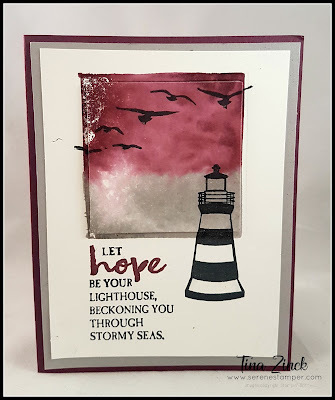 I just watched this video on your watercolor technique on a block. I am going to use this in my April class. Wow factor made easy!!! Thanks for sharing. Susan Demonstrator in Aberdeen, MD.